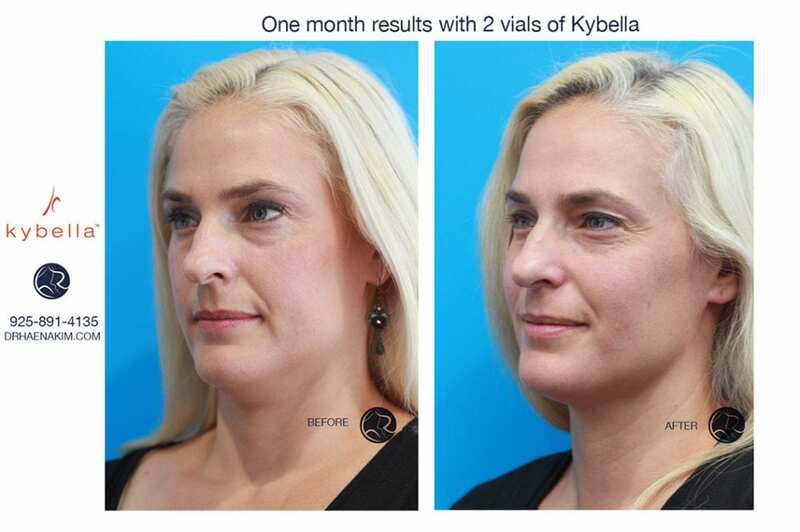 Kybella is a unique injectable that truly deserves its own category! This molecule is FDA approved to target and destroy fat cells in that stubborn area under the chin, no matter the cause. Whether that stubborn double chin is due to age or just something that runs in the family, Kybella may be just the treatment you have been waiting for. This in office procedure is done in the comfort of Dr. Haena Kim’s office and your comfort is ensured at every step. Patients are amazed at how quick and painless the treatment is. There can be swelling after the treatment for men and women alike, but the amount of swelling is different for each patient. Once the swelling subsides Dr. Kim will reassess you to determine how many more treatment visit you will need. Most patients achieve their optimal results in 2-3 sessions.